In 2009, consensus guidelines were published on intensification of insulin therapy using the premix analog biphasic insulin aspart (BIAsp) 30 in the treatment of type 2 diabetes, based on the recommendations of an international, independent expert panel. The guidelines included recommendations and titration algorithms for intensification from basal insulin once (OD) or twice daily (BID) to BIAsp 30 BID, from OD BIAsp 30 to BID, and from BID BIAsp 30 to three times daily (TID). Building on these recommendations, the objective was to develop similar, simple and effective guidelines for intensification switch from a BIAsp 30 to a mid-/high-ratio premix regimen for the vast majority of patients with type 2 diabetes. A panel of independent experts with extensive clinical experience in premix analog therapy met in October 2009 to review the therapeutic role of mid- and high-ratio premixes (BIAsp 50 and 70, respectively). The panel outlined a series of algorithms for intensifying BIAsp 30 BID and TID with mid-/high-ratio premixes, along with practical suggestions relating to intensification for individual patients. A simple tool to aid dose adjustment was also developed. 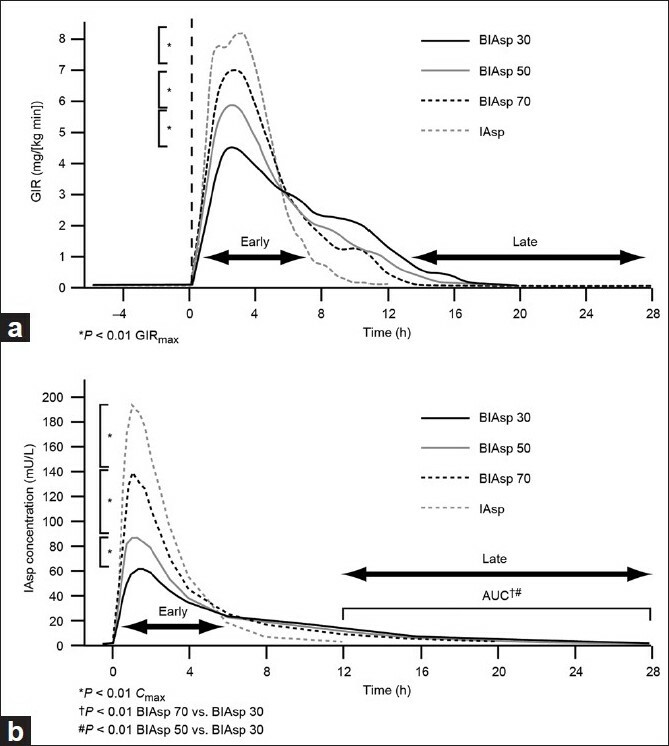 The guidelines suggested here should assist physicians in introducing mid-/high-ratio premixes to optimize the insulin therapy of patients with type 2 diabetes who are failing to achieve glycemic targets on a BIAsp 30 BID or TID regimen. Screening and diagnosis for gestational diabetes mellitus (GDM) as well as interventions for its management evoke considerable controversy. There are different types of screening methods: universal or risk-based, one step or two step. Different thresholds for diagnosis of GDM have been in vogue. Previous definition and diagnostic criteria had no place for diagnosis of overt diabetes in pregnancy. Following Hyperglycemia and Adverse Pregnancy Outcomes (HAPO) study and International Association of Diabetes and Pregnancy Study Groups (IADPSG) recommendations, new screening and diagnostic criteria around the world seem to be gaining consensus. The present recommendation given by IADPSG for screening and diagnosis of diabetes mellitus in pregnancy has two discrete phases. The first is detection of women with overt diabetes not previously diagnosed or treated outside of pregnancy. Universal early testing in populations is recommended at the first prenatal visit. The second phase is a 75-g OGTT at 24-28 week gestation in all women not previously found to have overt diabetes or GDM. ACHOIS and MFMU Network trails have proven benefit in treating hyperglycemias less than what is diagnostic for diabetes. DIPSI has shown the alternative way for resource-challenged communities. Efforts from all stake holders with interest in GDM are required to make the diabetes capital of the world into the diabetes care capital of the world. Hypopituitarism, a disease of varied etiologies, is a serious endocrine illness that requires early recognition and prompt treatment to avoid its severe deleterious effects. In adults it is often missed due to non-specific symptoms of growth hormone deficiency and hypogonadism or mild deficiencies of other pituitary hormones. In some it may present with acute onset of symptoms suggestive of acute adrenal (corticotropin) insufficiency or symptoms due to mass lesion in/or around pituitary. High index of suspicion is required to seek hypopituitarism in patients with non-specific symptoms such as fatigue and malaise. Treatment of isolated hormone deficiency, partial or panhypopituitarism, has gratifying results although they require lifelong treatment and follow-up. Gaucher's disease (GD) is the most common amongst the various disorders classified under the lysosomal storage disorders. GD is a model for applications of molecular medicine to clinical delineation, diagnosis, and treatment. The multiorgan and varied presentation of the disease makes it a challenge to diagnose GD early. The advent of enzyme replacement therapy in the early 1990s changed the management, and survival, of patients with GD. 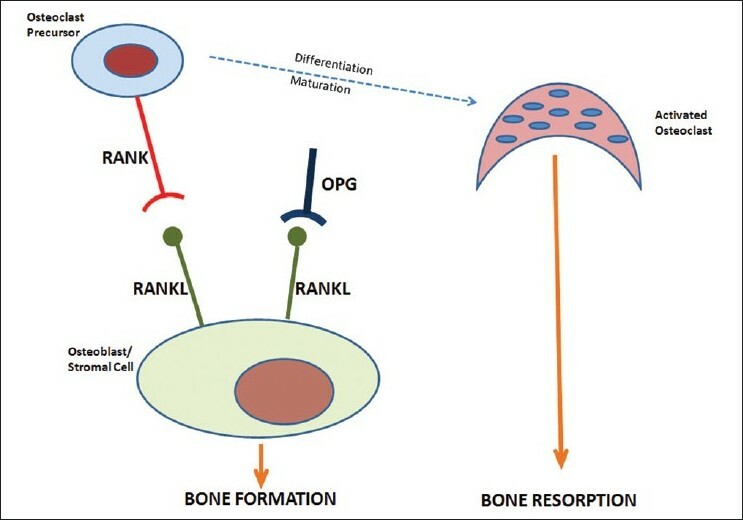 In addition to this, development of substrate reduction, pharmacological chaperone, and gene therapies has broadened the horizon for this rare disease. However, in resource-poor countries like ours, optimal management is still a distant dream. Objective: To assess the validity of Diabetes in Pregnancy Study Group India (DIPSI) guidelines, a modified version of the WHO criterion to diagnose gestational diabetes mellitus (GDM). Materials and Methods: A total of 1 463 consecutive pregnant women in the second and third trimester of pregnancy underwent 75 g oral glucose tolerance test (OGTT) and 2-h plasma glucose (PG) was measured by the glucose oxidase-peroxidase (GOD-POD) method. 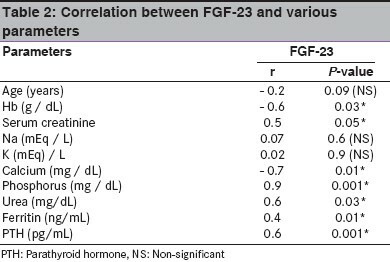 GDM was diagnosed with 2-h PG ≥ 7.8 mmol/L (WHO criteria) and the rest were classified as normal glucose tolerant (NGT) women. GDM women were advised medical nutrition therapy (MNT) for two weeks. Those who failed to reach the target glycemic level of FPG < 5.0 mmol/L and 2-h PG < 6.67 mmol/L with MNT were advised insulin. All of them were followed throughout pregnancy until delivery. 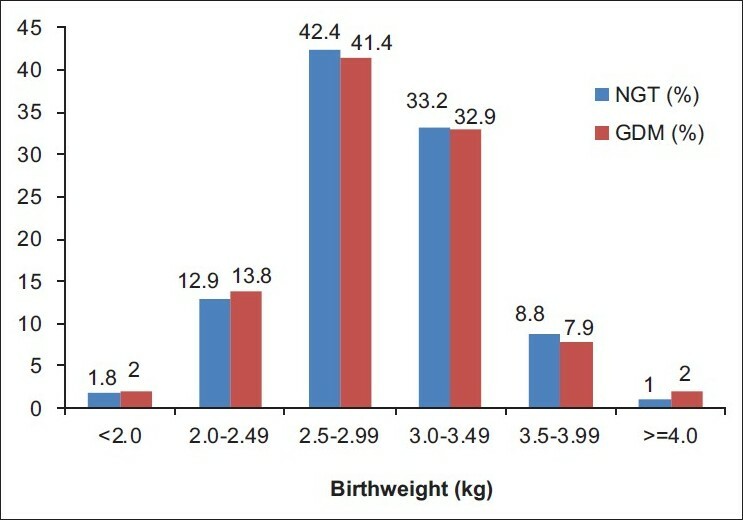 Birth weight of 90th percentile (> 3.45 kg) in the neonates was considered as macrosomia (primary outcome). Results: The mean maternal age and body mass index were 23.60±3.32 years and 21.5±4.06 kg/m 2 respectively. The mean gestational age was 27.9±5.56 weeks. DIPSI criterion identified 196 women (13.4%) as GDM and the rest as NGT. Insulin was required in 19 (9.7%) women with GDM. Macrosomia was observed in 9.9% GDM women with intervention and 9.8% in NGT (P = 1.000). Conclusion: DIPSI criterion is a one step-cost effective and evidence-based procedure to diagnose GDM in any socio-economic setting. Background: Gestational diabetes mellitus is a metabolic disorder defined as glucose intolerance with onset or first recognition during pregnancy. Similar to other members of the Asian race, Pakistani women are also considered to be at a high risk for developing gestational diabetes. Materials and Methods: In order to better understand whether this heightened risk attributed to race really exists, we conducted a prospective study to assess the glycemic status of primigravida women presenting to our hospital. Results: The mean age of 135 subjects enrolled was 22 (16-31), with 21 (16%), 60 (44%), and 54 (40%) subjects in the first, second, and third trimesters of pregnancy, respectively. The mean fasting, 1-hour, and 2-hour plasma glucose levels were 69.9 mg/dL (3.9 mmol/L), 129 mg/dL (7.2 mmol/L), and 103.6 mg/dL (5.76 mmol/L), respectively. Of 135 women, 6 had a blood pressure reading ≥140/90 mm Hg and only one met the criteria for gestational diabetes mellitus. In our study, despite using the newly proposed International Association of Diabetes and Pregnancy Study (IADPS) cut-offs for diagnosis of gestational diabetes, the incidence rate of gestational diabetes mellitus in primigravida was still <1%. Conclusion: Larger trials are needed to truly assess the disease burden of gestational diabetes mellitus in Pakistani women. Aim: Hyperparathyroidism (HPT) is a condition that occurs due to exacerbated activity of the parathyroid glands. According to the etiology it may be primary, secondary or tertiary hyperparathyroidism (pHPT, sHPT, tHPT). This is a study done to document and evaluate the presentations of primary and secondary HPT, with the associated complications and the approach to management in these patients, at our hospital. Materials and Methods: Twenty-one patients with HPT were encountered at Sri Ramachandra Medical College and Research Institute between January 2000 and January 2010. 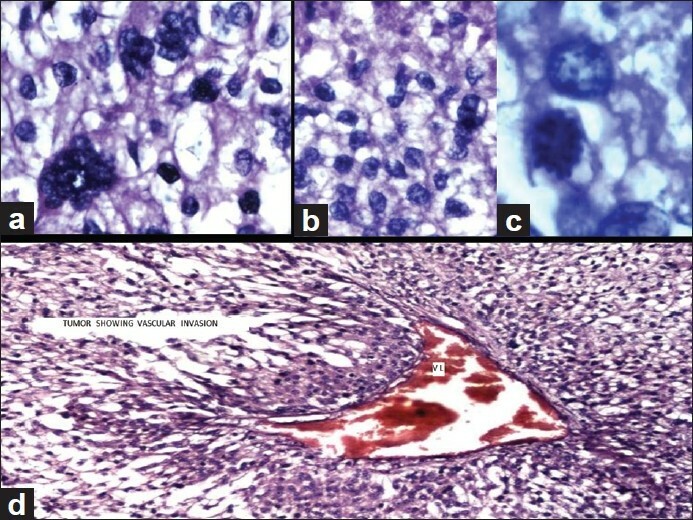 Operative notes, histopathology files, and medical records were used for the retrospective analysis of the patients with HPT. 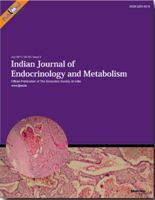 Parathormone, calcium, and phosphate levels were estimated on all the patients, to determine the primary or secondary etiology of this endocrine abnormality. Furthermore, these patients were subjected to ultrasonography (USG) of the neck and Technetium (99 mTc) scan of the neck to identify the parathyroid gland. Results: This study revealed that about 76, 19, and 5% of the patients suffered from pHPT, sHPT, and tHPT, respectively, with a female preponderance (62%).The neoplasm in all patients with pHPT was parathyroid adenoma. 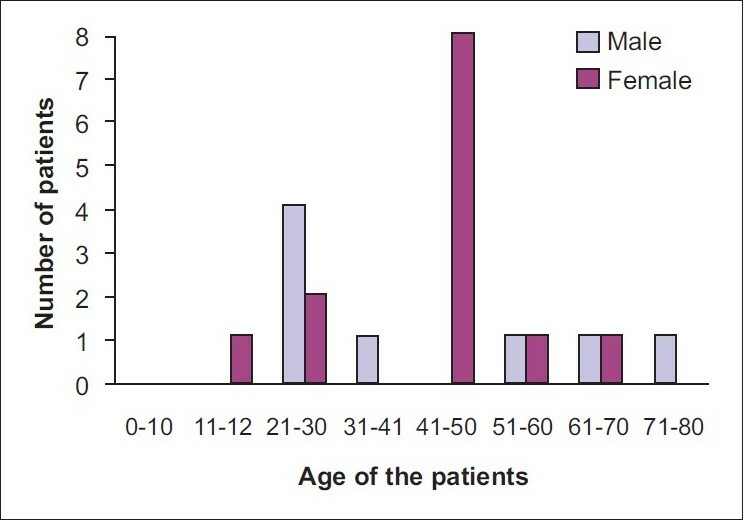 The patients presented with renal, bony, and menstrual abnormalities. 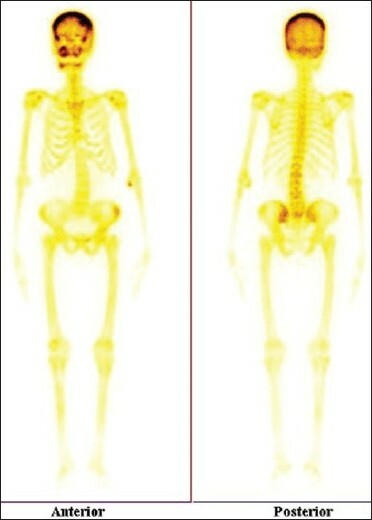 Cases with sHPT had a 15 - 20 year history of chronic kidney disease and they subsequently developed bony abnormalities. Even as all the patients with pHPT were managed with parathyroidectomy, individuals with sHPT were treated conservatively. Postoperative features of hypocalcemia were noted in only one patient. Conclusion: This study re-emphasizes that pHPT is more common and is often due to an adenoma. Recent advances in parathormone sampling operatively and minimal access surgery, along with accurate and prompt clinical diagnosis, is necessary for the cure of these patients presenting with obscure abdominal, bony, and renal ailments. Background: There are currently approximately 40.9 million patients with diabetes mellitus in India and this number is expected to rise to about 69.9 million by the year 2025. This high burden of diabetes is likely to be associated with an increase in associated complications. Materials and Methods: A total of 23 (15 male and 8 female) patients with type 2 diabetes of 10-15 years duration and their age and gender matched controls (n=23) were recruited. All subjects underwent detailed clinical proforma, questionnaire related to autonomic symptoms, anthropometry, peripheral neural examination and tests of autonomic nervous system including both conventional and newer methods (heart rate and blood pressure variability). Results: Conventional tests of cardiac parasympathetic and sympathetic activity were significantly lower in patients with diabetes compared to the controls (P<0.05). The diabetic patients group had significantly lower high frequency and low-frequency HRV when expressed in absolute units (P<0.05) and total power (P<0.01) compared to the controls. Conclusion: Data from the current study demonstrated that diabetics had both cardiac sympathetic and cardiac parasympathetic nervous system involvement. The presence of symptoms and involvement of both components of the autonomic nervous system suggest that dysfunction has been present for a while in these diabetics. There is a strong need for earlier and regular evaluation of autonomic nervous system in type 2 diabetics to prevent further complications. Objective: To assess the prevalence of diabetic cardiomyopathy in patients with diabetes mellitus in Manipur and its correlation with different parameters like obesity, blood pressure, lipids, duration of diabetes, and glycemic control. Materials and Methods: A total of 100 type 2 diabetic patients were selected randomly. Anthropometric parameters were recorded, blood glucose levels and lipid profiles were determined, and the echocardiographic examinations were performed in all patients according to standard techniques. Ejection fraction (EF) was calculated by the formula LVEF% = (LVID)2 - (LVIDS)2. Left ventricular EF was considered normal when EF was 55 to 75%. 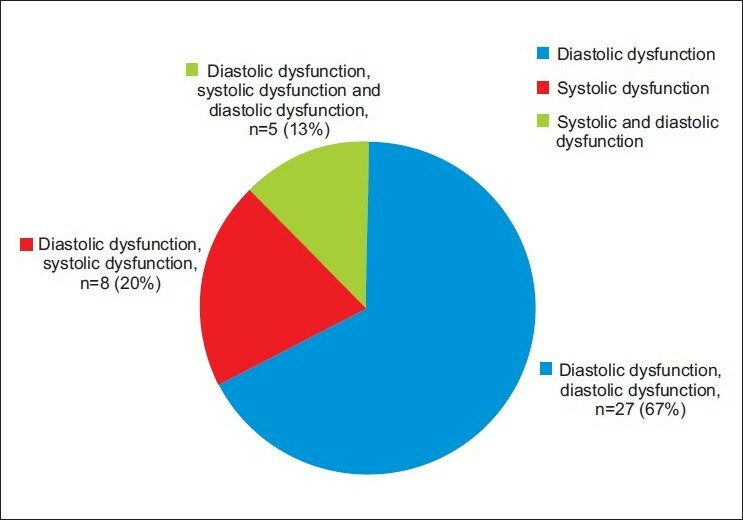 Diastolic dysfunction was calculated by measuring E and A transmitral inflow velocity. Left ventricular mass in grams is calculated by the formula LVM (gm) = 1.04 X 0.8 [(LVID + PWT + IVST)3 - LVID3] + 0.6. Results and Conclusions: Diabetic cardiomyopathy was found in 40 patients (40%) of the total study, 29 males (44.6%) and 11 females (31.4%). Cushing's syndrome (CS) is associated with reduced life quality and increased mortality, mostly due to cardiovascular disease. The features of this syndrome are central obesity, moon facies, facial plethora, supraclavicular fat pads, buffalo hump, and purple striae. Other complications include hyperglycemia, hypertension, proximal muscle weakness, skin thinning, menstrual irregularities, amenorrhea and osteopenia. These make perioperative and anesthetic management difficult and present a challenge to the operating team, especially the anaesthesiologist. In this paper, we present two such cases of CS, which were treated with adrenalectomy. We aim to highlight the special care and precautions that need to be taken while administering anesthesia, and in the post operatory period. Anaesthesia induction in the two cases of CS was done prior to the adrenalectomy procedure and special pre and post operative care was taken. Continuous intra operative monitoring of vitals and checking for the stability of the haemodynamics was performed. With adequate care and using advanced anesthetic techniques, the patients showed uneventful post operative recovery. Though the anesthetic management of patients with CS is difficult, desired results can be achieved with continuous monitoring and special precautions. We present here a rare case of synchronous adrenocortical carcinoma (ACC) and renal cell carcinoma (RCC). A 27-year-old woman presented with gradual abdominal distension, hematuria, and loss of weight of 3-months duration. She gave a history of treatment for hypertension. 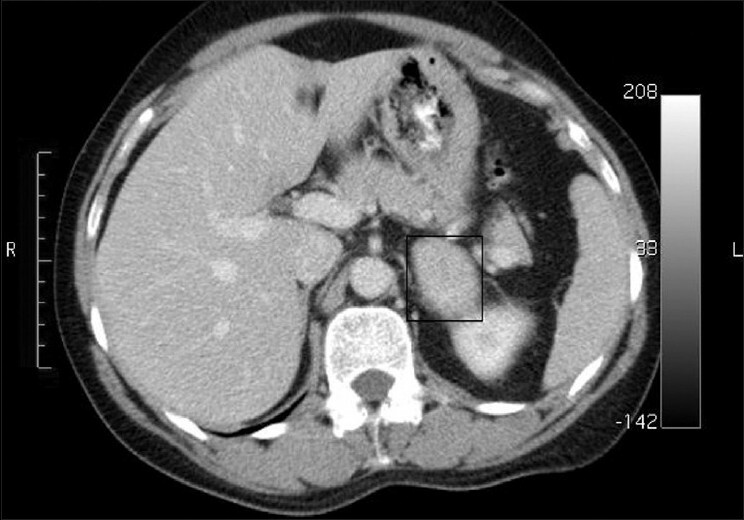 The computed axial tomography (CT) scan revealed a large retroperitoneal mass. Her urinary VMA was slightly elevated. Her 24-h urinary metanephrine level was normal. The patient underwent left adrenalectomy, left nephrectomy, spleenectomy, and distal pancreactomy with segmental colonic resection. Postoperative pathology revealed ACC of left suprarenal measuring 22 Χ 19 Χ 18 cm 3 and RCC involving the left upper pole of kidney measuring 3 Χ 2 Χ 1 cm 3 . Adrenocortical carcinoma (ACC) is a rare neoplasm with a slight predilection for female patients. We report two cases of ACC. 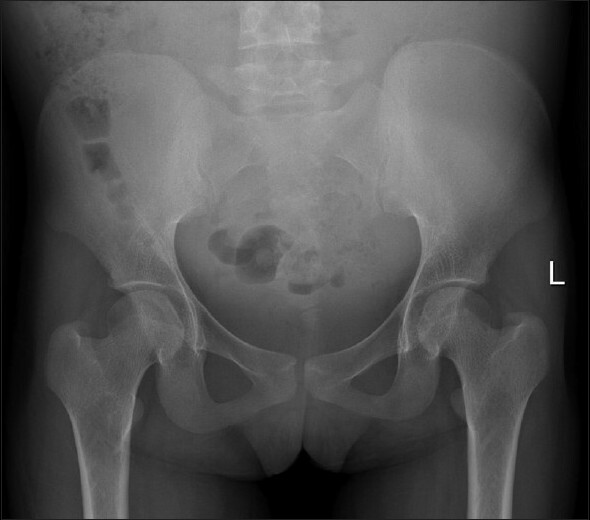 The first case was of a 7-year-old girl who presented with clitoromegaly. 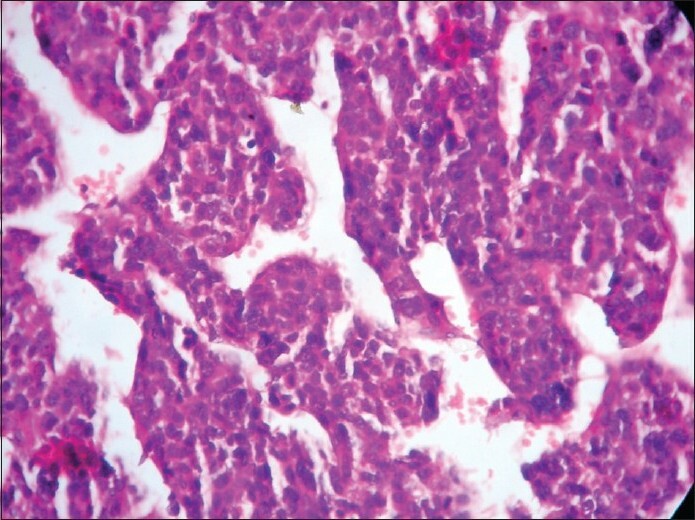 The second case was of a 22-Year-old female who presented with a lump in the abdomen and features of Cushing's syndrome with virilization.The clinical, biochemical, histological features along with differential diagnosis are discussed. These cases are presented because of their rarity, and also to highlight the importance of differentiating ACC from an adenoma particularly in pediatric patients. Primary adrenal Non-Hodgkin's lymphoma is rare. The symptoms of the disease and response to treatment are variable depending on the type of lymphoma, tumor size, and presence of adrenal insufficiency. 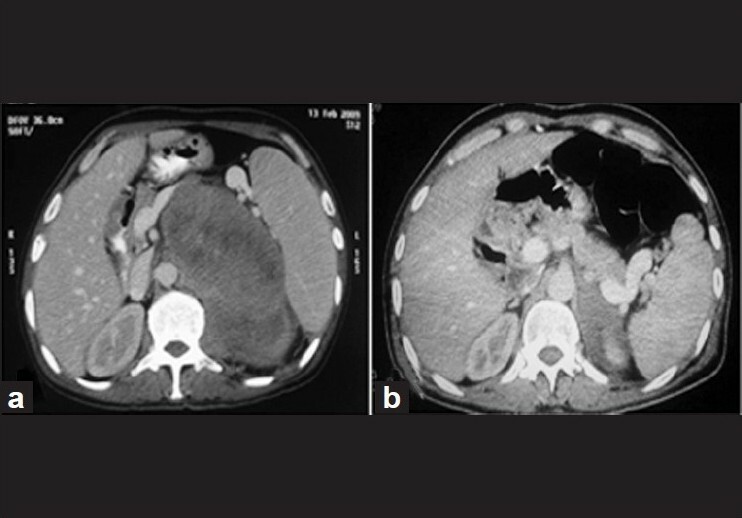 We report two cases of primary adrenal lymphoma who had varied presentations. One presenting with abdominal pain and weight loss was documented to have unilateral disease without any adrenal insufficiency and showed a good response to combination chemotherapy, while the second one had bilateral adrenal involvement with adrenal insufficiency and died after second chemotherapy. Functional adrenal involvement in lymphoma depends on the extent of involvement; patients with bilateral involvement almost always have adrenal insufficiency. Gaucher's disease is the most frequent sphingolipid storage disease. We present a case of type 1 non-neuropathic type of adult Gaucher's disease patient with atypical presentation.